Doctor Who: Looking Back At HUMAN NATURE / THE FAMILY OF BLOOD | Warped Factor - Words in the Key of Geek. Matthew Kresal attends Farringham School for boys. Look at almost any list of “best of” Doctor Who stories and it's hard to escape the conclusion that Doctor Who is at its finest when it is being atypical. Stories like Blink and The Deadly Assassin are different from anything else in the canon of televised Doctor Who, but perhaps, though, there is no story on any list that is more atypical of what the show usually does than the Series Three two-parter Human Nature/Family of Blood. For starters, it is the first time the television series had done a full-on adaptation of a previously existing, albeit non-televised, Doctor Who story. The new series, and showrunner Russell T Davies, showed an interest in reaching into the stories written and produced during the ‘wilderness years’ as shown by how both Dalek and Rise Of The Cybermen/Age Of Steel pulled ideas from the Big Finish audios Jubilee and Spare Parts. 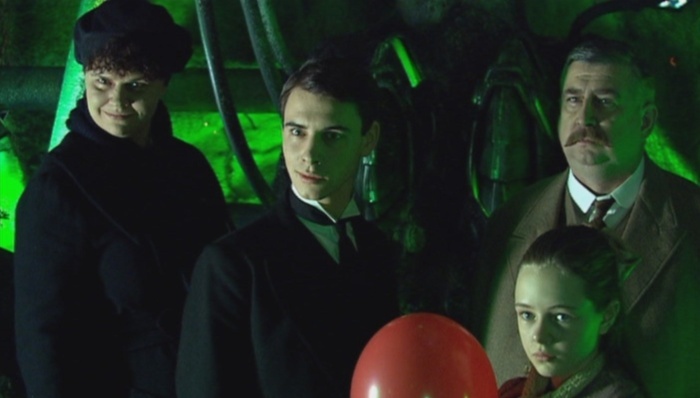 While those episodes mined for ideas more than anything, Human Nature/Family of Blood presented a much more faithful adaptation of Paul Cornell’s 1995 Virgin New Adventure novel Human Nature, widely regarded as perhaps the best Doctor Who novel yet written. Of course it isn’t a word-for-word reproduction of what was on the page, either. The novel was done as part of a range that, at the time at least, featured the Seventh Doctor and Bernice Summerfield, so the television version automatically updates for the Tenth Doctor and Martha. More, the novel saw the Doctor taking on human form for reasons that were less than clear (being the Seventh Doctor, perhaps this comes as no surprise), before the bulk of the story taking place at the Hulton Academy for Boys and the Norfolk town of Farringham in April 1914, where a group of shape shifters called the Aubertide arrive seeking the Doctor’s Time Lord identity. So, the two versions feature different Doctors, different companions, are set at different schools a year apart and change villains amongst others details. Yet, for those changes, the broad strokes and even some of the finer details of the novel are present. Both feature John Smith creating a story inspired by the Doctor’s adventures (the novel’s version of the journal was in fact plotted by none other than future showrunner Steven Moffat); there’s a schoolboy named Timothy (though with the surname of Dean in the novel instead of Latimer) who plays a pivotal role by finding the device holding the Doctor’s Time Lord identity; and the little girl with the red balloon and even the final scene can be found in both versions. Last but not least, in an ironic piece of unintended foreshadowing, there’s a scene where Bernice Summerfield meets an Aubertide claiming to be the Tenth Doctor who is looking in on his past! So while there are definitely changes between the novel and the screen version, Cornell’s original work is still felt and for the most part faithfully presented. This two-parter is also atypical because, like Blink, it’s the Doctor Who universe seen through the eyes of ordinary people who find themselves caught up in an extraordinary situation. Human Nature, for most of the actual episode, could almost as easily be as much a period drama about a school teacher named John Smith who falls in love with a matron named Joan Redfern, as it is about a human-looking alien from an extinct race who travels around in time and space. Indeed, it focuses not on the Doctor but his human alter ego, John Smith. 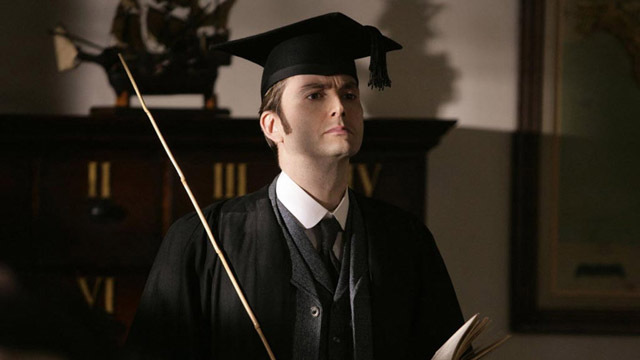 By focusing on John Smith, David Tennant gives what might well be his best performance from his entire era on the series. For while Smith has the face and voice of the Doctor, he is the average educated person from 1913 and as result the Doctor, or the man we’ve come to know as the Doctor, says and does things we would never expect him to do. There’s the rather casual way he gives permission for Latimer to receive a beating for example, something that upset a portion of fandom who simply couldn’t believe that the Doctor would allow such a thing. They missed the point: this isn’t the Doctor at all, but a man who is a product of a time when such things were common place – as is the casual racism displayed when Smith dismisses Martha’s claims as simply being “cultural differences”. Yet Smith also has moments where the Doctor seems to shine through, such as the cricket ball scene in Human Nature or his decision not to fire his rifle during a particularly haunting scene in Family of Blood. In the end though, Smith rises to become something both greater and yet also more tragic as he faces a life and death situation where he must decide between living as an ordinary man with the woman he loves and the future before them, or to sacrifice all of that to once again become the Last of the Time Lords and save the day. 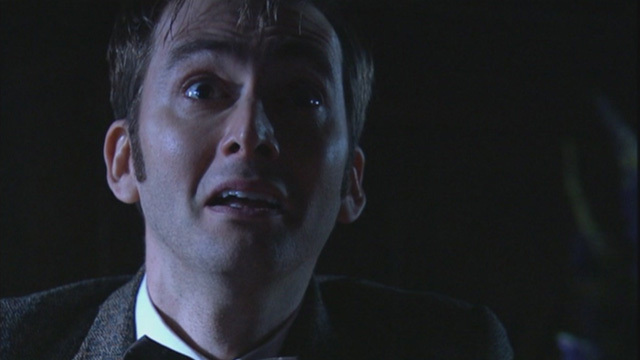 The final scene in the Cartwright cottage, as Smith at first struggles and then finds the strength to make a decision is perhaps Tennant’s single strongest scene as the Tenth Doctor. Indeed, the Doctor once said that: “The past is another county” and this two-parter certainly proves that. There is perhaps no better reason for why this story is both so atypical and well regarded than by the element that makes it stand out more than any other: it’s a love story. For whatever the reason the Doctor becomes human, in both the novel and the televised versions there is one thing he does not expect to happen: he falls in love. Cornell wrote the relationship between Smith and Joan but it really is sold by the chemistry between Tennant and Jessica Hynes. The two actors make the whirlwind romance between the schoolteacher and the school nurse believable from moments of Smith’s initial nervousness (something with which, I suspect, many a fan can identify) to the heartbreaking final scene as both they and the viewer see their potential future flash before them that is, alas, not to be. Smith and Joan are the literal heart and soul of the narrative as it is their relationship – and its climax – that really makes this stand out. It’s hard not to think of this two-parter as being a Doctor Who equivalent to the James Bond novel and later film On Her Majesty’s Secret Service. Both are by and large faithful adaptations of well-regarded paperbound adventures and both are held in high regard by their respective fans as a result. Looking further than that, though, both Bond and the Doctor are characters who constantly go around saving the day from dastardly villains and do so with beautiful women by their sides. They may become somewhat attached to those women but the one rule they seem to have is that they never fall in love with them. This is the story of what happens when they do and for all the happiness they do find, it ultimately doesn’t (and perhaps even can’t) end well. Look beyond the genre trappings, be they action/adventure in the case of James Bond or sci-fi for Doctor Who, and there’s tragic love story to be found beneath it all that separates them from their more typical entries. Human Nature/Family of Blood remains not only memorable but one of the best offerings either the post-2005 series or indeed televised Doctor Who as a whole has presented us with. It is a tale taken from the era between the screen adventures faithfully brought to television (albeit with changes both big and small), with a strong period feel and a doomed love story at its heart. You’d be hard pressed to find both a more atypical or better example of what Doctor Who can be at its best.